We recommend the following key areas are included as part of your regular vehicle maintenance checks, to ensure that your tyres continue to perform with the safety, grip and reliability that you demand. Age and wear are not the only reasons for tyre wear- sudden braking in emergencies, under or over inflation and damage caused by potholes or poor road surface can all affect the condition of your tyres. The legal minimum tread depth for cars in the UK is 1.6mm, however most manufacturers advise tyres are at least 3mm to ensure performance. Check your tyre pressures regulary. Under inflated tyres can overheat, and can also increase fuel consumption. Over inflated tyres can also cause many problems, including poor vehicle handling. You should also check your tyres for signs of visual damage particularly to the side walls and any deforming of the tyre. In particular look out for any cuts or lumps, as these can cause serious problems or even sudden tyre failure. Any damage like this must be checked out as soon as possible by a specialist. 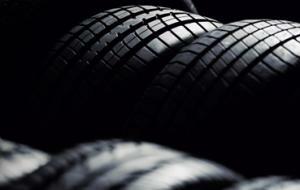 Sometimes tyre damage can be caused by tyres being not properly balanced or out of alignment. Mid Beds Tyres will advise if this is the case and can arrange for this to be put right. 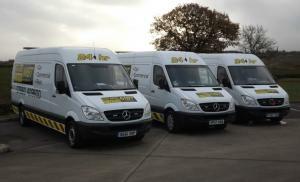 If you are not sure whether you require replacement tyres simply call us for advice. Our guidance is free! Wherever possible our technicians will advise if a tyre could be repaired as this can be more cost effective than replacing the tyre. We will always give you the best advice on keeping your tyres safe and legal. Make sure your tyres are legal- driving with damaged or worn out tyres endangers others, and you risk a fine, penalty points on your licence or even invalidating your car insurance policy. Still unsure? Don't risk it! Call or email us today to arrange a tyre check.